Kennedy Coaches | Why Choose Us? We aim to provide a quality product at the most competitive prices, and a personalised service that is tailored to meet your clients' expectations We are here to offer you a quick and comprehensive quotation for all your group itineraries, tailoring each quotation to suit the group's individual requirements. "Just a short note to tell you how much we enjoyed Danny McCarthy as our driver/guide when we were in Ireland (Sept 18 to Sept 24). We learned a lot about your country and am certainly impressed by its beauty. Danny went above and beyond to make sure we were taken care of. He had great stories and even taught us a song (Wild Rover) on the bus. Many, many laughs with Danny. He really made our trip a special one!!!" "I just got home from the guided Castle Tour (Sept 14 to Sept 22), and I wanted to let you know how much I loved the tour, and how absolutely fabulous Mark is! Mark went above and beyond all expectations of a driver/tour guide! He was so friendly, and cheerful, easy to understand, and extremely knowledgeable about all the places we visited! He kept the bus in excellent shape, and made sure the windows were washed (several times a day!) so we could take nice clear photos while he drove! He also kept water bottles on hand in case we got thirsty between stops! He had a wonderful selection of Irish music that he played, and even taught our group of 8 people how to do some songs that we had to clap our hands for - which came in handy on several occasions at local pubs in the evening! Mark was an outstanding guide, who made my first time in Ireland extra special! I really hope I can get him again next time I'm back in Ireland! Thanks so much, Tania Massia (A Canadian who will ALWAYS be in love with Ireland!)" "My wife and I celebrated our 50th wedding anniversary with a trip to Ireland, England and Scotland, with our son Kevin. Our trip in Ireland was the highlight of the 24 day trip. John Fleming knew his history of Ireland and England, knew where to add attractions which were close to our scheduled tour if time permitted and he had a great personality to go along with the tour. It was a “joy” to have him as our guide and our driver. My wife and I want to come back to Ireland in the next year or two and we will be contacting you…We will definitely try to be on a tour that has John as the driver/guide. We had a private driver in England and Scotland also but they did not equal our delightful experience with John in Ireland. Thank you and John for making this occasion such a memorable event." "My husband and I both believe that our trip was as incredible as it was because of Mark. What an unbelievable guy! On our very first day he made us feel so welcome and comfortable that it felt like we knew him our whole lives. He was personable, funny, considerate, and extremely knowledgeable. We learned so much about Ireland during this trip. When we asked for recommendations, whether it was where to eat lunch or where to buy the best sweater or gift, he always gave us 2 or 3 suggestions and was always spot on with any of them....we always found what we wanted and at reasonable prices. Mark made sure that our trip was the trip of a lifetime......and for us it certainly was. He kept our bus spotless....inside and out. If we have an opportunity to visit an area where Kennedy Coaches is available for hire, we certainly will contact you and request Mark as our guide. Thanks Mark for an incredible vacation!" "Thanks to Kennedy Coaches our trip was so much more than our group of 6 expected, so helpful with suggestions and filling in so much of the planning part of the trip. The entire trip was delightful. James our driver was awesome, engaging, humorous and extremely knowledgeable from the history of Ireland to where to shop and dine. He made sure we all saw the sights on our check list, including a very hard to find church. We will be certain to recommend your company to others traveling through Ireland." "My family and I just returned from Ireland. I'm writing to tell you how much we loved our driver, Nigel Clarke. He was phenomenal!!! He was kind, courteous, punctual, knowledgeable, and fantastic with my 5 year old son and 18 month old daughter. He had great suggestions and was so professional. He provided us with a smooth and certainly memorable trip. We will certainly request him when we return to Ireland. Thank you so much. Kennedy Coaches is lucky to have a person like him on their team!" "I had to write and tell you what a fantastic trip we had with Des Murphy as our driver, tour guide and friend. He absolutely made the trip with his customized suggestions and accommodations, fun and gracious helpfulness and humor. While I'm an active 50 something, my mother is 82 and Des was the very essence of kindness and helpfulness in maximizing her experience, from help out of the car to modifying the itinerary on the fly to best service her limitations and interests. Please know you're got a top guide and travel driver in your employee. It was my best trip of its kind, ever, and I've been all over the world." "Once again, your company helped make our trip to Ireland an enjoyable one. Kenny was fantastic. He was prompt, professional, knowledgeable and kept us laughing while we were together. He went above and beyond the call of duty. " "Brendan was a gracious host, assisting in every aspect of the trip and added to the overall experience. Whether it was making sure our clubs were dry the next day before we played, making sure the caddies were ready or making a point of us hydrating, Brendan didn’t miss anything. The bus was comfortable & perfect for the four of us." "I wanted to write to you to tell you about our recent trip to Ireland and our experience with our driver/tour guide Danny McCarthy. To put it simply, Danny was awesome. To say he enriched our experience would be an understatement. We learned more, laughed more and saw more than we could have ever imagined. I cannot say enough about him and how highly I would recommend him to anyone who really wants to see and fall in love with Ireland." "Patrick our driver tour guide for the week was exceptional. We would recommend him to everyone." "Spectacular!!! John the driver was absolutely exceptional and critical to making this trip beyond unbelievable. Thank you!" "We has an amazing time and wanted to thank you and your team. Patrick, our driver, made the week unbelievable. He took such good care of us there was nothing we ever needed..... Can't wait for my next trip with you guys." "I just wanted to write you regarding my group's trip to Ireland last week, Pat Griffin was our driver and I must say after about 20 years of leading tours, Pat was the best tour guide I have ever experienced. Pat is a great ambassador for your company and for Ireland. I plan on coming back to Ireland and using Kennedy Coaches again with one small condition, that Pat is our guide and driver, and what a driver he is, the best in the business. I am very pleased, thank you so much for a wonderful experience and please hold on tight to Pat, they don't come any better." 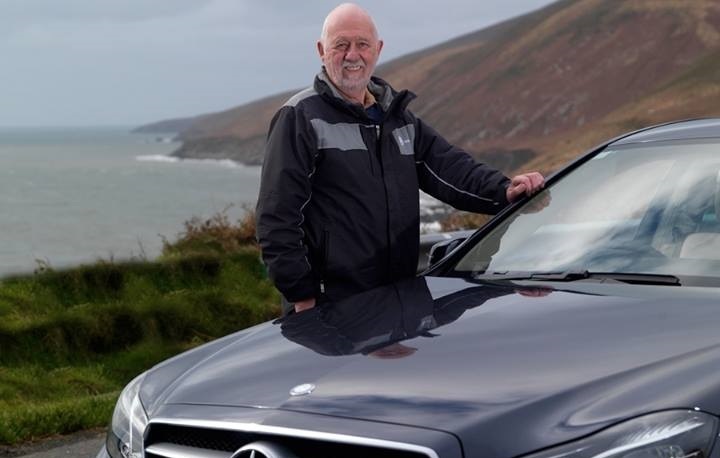 "I just returned from our golf trip to Ireland and wanted to drop you a note and let you know what a great experience we had with your service and driver. Our driver Con did a wonderful job and took great care of us, he handled our luggage and clubs like they were his own and could not have been more gracious to all of us. We sincerely appreciate all he did for us, we could have not picked a better man, please give him our thanks and warmest regards. Next trip its Kennedy for us! Thanks again from all 12 of us. " "I wish I could express properly how overwhelmed we all were with your service, your coach and most of all our driver Mark "Funky" Lyons. Everything about the experience was "Five Star". Mark takes amazing pride in what he does and went above and beyond to accommodate our peculiar requests. Thank you so much for helping make this an experience of a lifetime for everyone in our group." "This is a long-overdue review, for Kennedy Coaches and our driver, Stephen Outram. Words can't properly capture our fantastic March 2013 Ireland experience and much of that was thanks to Steve. From day one, we were greeted with a smiling face and a warm personality. Steve was attentive to our questions and his extensive knowledge afforded us an unforgettable experience in the way of landmarks and food. Thank you, Steve, and Kennedy Coaches for a fabulous experience! " "Thank you for surprising us with the bottle of champagne for our anniversary. It started off the trip with a warm smile. We also thought we should tell you know how much we enjoyed having Joe Courtney as our driver. Not only is he a highly skilled chauffeur, but also an extremely personable and knowledgeable tour guide. We looked forward to his input for our daily plans and feel he became a delightful addition to our story in Ireland. There has already been a discussion about our next trip, and Kennedy Coaches and Joe are a part of those plans."